Over the past couple of weeks, the crypto markets have experienced a persisting bout of sideways trading that didn’t allow for any major price action in the altcoin markets. Today, however, the typical crypto volatility returned in full force, sending most major altcoins and Bitcoin down significantly over the past 24-hour trading period. Today’s drop led most altcoins to break below their previously established support levels, which puts further losses in play in the near-term. Throughout the past few weeks, Bitcoin had found support at approximately $3,500, as it tested, and bounced, at this level on multiple occasions. This led Bitcoin to establish a tight trading range between $3,550 and $3,650, which it traded in for the past week. Earlier today, Bitcoin plunged below its support level in the low-$3,500 region, which sent most major altcoins sinking. At the time of writing, Ethereum (ETH) is trading down nearly 9% at its current price of $105. ETH appears to have found some support around $100, as it bounced slightly once this price level was touched earlier today. Analysts agree that if Ethereum is unable to hold above $100, it will likely sink towards its 2018 lows that were set at around $85 in mid-December of last year. Chonis Trading, a popular cryptocurrency analyst on Twitter, spoke bearishly about ETH late last night, saying that significantly lower lows will be in play if the cryptocurrency is unable to maintain above $100. “$ETH – had a 100% move from the Dec lows which puts the 78.6 fib retrace right at the November low’s sub $100. A failure to hold the century mark setups up much lower price targets,” he explained. Alex Krüger, a popular cryptocurrency analyst on Twitter, shared a similarly bearish sentiment, saying that trader’s stop losses getting hit should cause ETH to move back into the double digets. “ETH moving back to two digits should bring volatility as stops get run over,” he said. ETH moving back to two digits should bring volatility as stops get run over. Today’s volatility has caused virtually all cryptocurrencies to drop, with Bitcoin Cash and Binance Coin both plunging over 10%. Bitcoin Cash (BCH) is one of today’s worst performing cryptocurrencies. 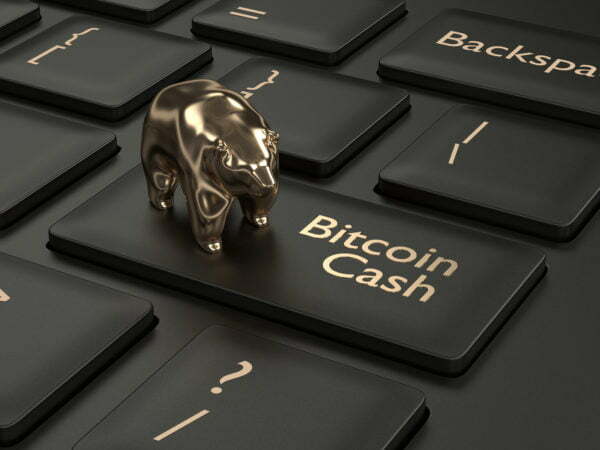 At the time of writing, Bitcoin Cash (BCH) is trading down 11% at its current price of $110. BCH is down significantly from weekly highs of over $130. Binance Coin (BNB) has also felt the strong effects of today’s drop, as it is currently trading down over 12% at $6.20. Although BNB is one of today’s worst performing cryptocurrencies, it has seen some relatively large gains over the past couple of weeks, rising from lows of $5.50 in mid-January to highs of over $7.10 yesterday. Although XRP has also dropped today, it is still currently one of the better performing altcoins as it is currently trading down just over 6%. XRP was not able to stabilize above $0.30, and it has once again dropped into the $0.20 region at its current price of $0.29.